SVN | First Place Commercial Realty offers specialized service across a broad range of real estate asset classes in Ohio. We leverage our commercial real estate knowledge and experience to provide counsel and guidance to our clients, helping them make better decisions. We provide commercial real estate knowledge and expertise that transcends typical brokerage services. We’re in the business of listening, understanding, and adding value. Our goal is to listen, collaborate and serve your commercial real estate needs with Character, Competency and Certainty. When you’re looking to buy or sell a Ohio Class C office building in Ohio, a suburban Class A building, or a CBD trophy high-rise, the SVN | First Place Commercial Realty Office Team stands ready to serve your needs. In today’s world of rampant vacancies, we can help evaluate the needs of the asset and client and work in conjunction with our office leasing Advisors to stabilize the asset before or after sale. If you’re looking to buy, sell or lease Ohio light industrial or flex space, a large industrial park, or a free standing net-leased industrial building, the SVN | First Place Commercial Realty Industrial Team stands ready to serve your needs. SVN | First Place Commercial Realty Advisors provide specific knowledge of the factors that impact industrial investment such as Ohio demographics, site plans, tenant mixes, tenant credit, and traffic patterns, bringing the highest value proposition to their clients. Whether you’re looking to buy or sell a Ohio strip center, larger anchored or shadow anchored malls or large regional power centers, the SVN | First Place Commercial Realty Retail Team stands ready to serve your needs. We have Ohio market expertise on all sizes of local retail centers located within our own geographic area of focus and have access to a national network of retail properties all over the country regardless of size. Our Multi-Family Team offer both national reach and Ohio expertise. When you’re looking to buy or sell a single property or a geographically diversified portfolio, SVN | First Place Commercial Realty Advisors have the capability and capacity to advise you on all of your multi-family needs. Our team routinely works on properties ranging in scope and scale from a small apartment property in a tertiary market to large institutional caliber multi-state portfolios. We don’t discriminate based upon size (large or small) as we value long-term client relationships which requires working at all ends of the multi-family property spectrum. When looking to buy, sell or lease un-entitled raw Ohio land for future development, immediately break ground on fully entitled land, receive assistance in site selection, or land bank for speculative purposes, the SVN | First Place Commercial Realty Land Team stands ready to serve your needs. SVN | First Place Commercial Realty advisors educate clients with all the information that could affect their investment such as site specifics like location, population shifts, cycles of consumer behavior, development opportunities and new zoning laws to name just a few. 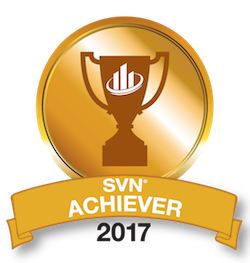 SVN | First Place Commercial Realty has worked with developers, owners, banks and investors in Ohio and across the country to help them determine highest and best use in order to maximize both NOI and valuation. SVN | First Place Commercial Realty Leasing Advisors leverage state of the art technology and business intelligence platforms that go far beyond the tools of typical brokerage firms. Our SVN | First Place Commercial Realty Leasing Team can assist principals in adding value to their properties to increase velocity of lease-up and maximizing occupancy at market leading percentages. SVN | First Place Commercial Realty offers Tenant Representations services for local, regional and national tenants. Our capabilities equip tenants with the best market knowledge available. Utilizing our tenant representation services will ensure that landlords compete for your tenancy, thus providing you with the right space at the right price. Open Out-Cry Auction: This is by far the most traditional and recognized method of the auction process. Terms are set by the seller. Pre-sale marketing and due diligence are conducted beforehand and the auction event takes place at a predetermined date, time and location. Bidders are pre-qualified with certified funds to bid and the event is open and conducted live in a competitive environment. Sealed Bid: While this is similar to the Open Out-Cry Auction, offers are submitted in a Sealed Bid format to a certain location at a predetermined date, time and location. Offers are then opened in a closed-door environment. The price is reviewed by the seller with the terms of the offering having been preset. This format provides for more control over the transaction and is usually best suited for hard to value assets. In this case, the seller has the flexibility to request “best and final” offers from qualified buyers in the competitive range of pricing. The national Sale/Leaseback Team of SVN | First Place Commercial Realty offers both national reach and Ohio expertise across all major asset classes. For high net worth individuals and institutional investors looking to make investments in the corporate real estate of credit worthy businesses, or corporations looking to reduce balance sheet liabilities while receiving favorable financing the sale/leaseback may be an excellent opportunity. Our Advisors can assist investors in finding sale/leaseback opportunities that meet their credit and investment criteria. SVN | First Place Commercial Realty affiliates can also assist commercial real estate owners in finding a long-term capital partner fluent in the sale/leaseback process. Our Property Management Advisors bring more to the table. This vast experience means that our Advisors are the most knowledgeable experts for the unique needs of your property and local Ohio market. We are able to find savings and solutions by looking at the assignments from our client’s perspective. Our experience has created outstanding leadership in both resources and investment strategy. With a commitment to reaching and exceeding your goals – we aim to achieve maximum returns on your real estate portfolio by improving cash flow and building value. SVN | First Place Commercial Realty has created a series of industry Best Practices that continually evolve with refinement. This insures that we bring value and efficiency to our process and provide our clients with outstanding results. As a group of companies, we’re highly connected through a culture of collaboration. Constantly sharing information on markets nationwide. Building resources and determining the best ways to provide services and insight that is second to none. SVN has approximately 41,000,000 SF of commercial properties, along with over 25,000 multifamily units and 4,800 student housing beds under management. This places us within the top 10 firms in the nation according to Commercial Property Executive magazine.